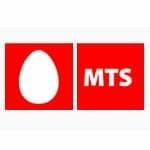 MTS India, the CDMA mobile services from Sistema-Shyam Teleservices has launched a two new special tariff voucher for unlimited local onnet (MTS to MTS) calling in Kolkata and West Bengal telecom circles. Now you can enjoy daily 150 minutes on local MTS to MTS. MTS launched two STVs for per minute and per second tariffs. Both new and existing customer can avail this offer with e-recharge or voucher recharge of Rs 498 or Rs 499. Earlier during launch in Kolkata in June, 2009 MTS launched such onnet pack and later withdrawn as it was their introductory offer.Uninor is processing to roll out in Kolkata very soon, at this point of view MTS, despite a CDMA operator will certainly to grab a number of new customers with this pack. Notes — MSaver95 can be used with it to enjoy all local call @ 1p/2sec for 1 year. For assistance call MTS care 155. When is mts goin to expand in the other circles. Its one of the best data carriers of India, i want to get a mblaze connection. Validity is 30 days as usual–like Tata Indicom & Reliance CDMA.